How has ‘customer experience’ changed? The ‘customer experience’ has transformed significantly over the past 100 years. Up to that point, the buying and selling of products and services primarily involved face-to-face contact between vendor and purchaser, be it in a store, a market, or stood next to a delivery cart selling door-to-door. The experience centred around the interaction with sales person and the product, and every care was taken by the business owner to ensure that relationship became a strong and a valued bond, as it was the only chance of making a sale to a potential customer, and the surest way payment could be secured, and goods handed over undamaged. No wonder so much emphasis and training was put into the sales and service people in store. The attention to detail, valuing and addressing customers in an almost reverential tone, while displaying the wares and presenting them with knowledge was both expected and essential if a customer was going to make a purchase. Given that shopping was an event where parting with hard-earned cash had been preceded by months of saving and sacrifice. No credit cards in those days. Today, many deplore that the ‘personal touch’ has disappeared from many retailers in the UK high street. The prevalence of self-service, and carbon-copy retail chain outlets, tied together with standard product lines, networked ordering, transaction, and reporting systems have impersonalised the retail customer experience. The science of managing stock, monitoring distribution, and managing sales efficiencies has become watertight, and over the past 20 years CRM databases have captured consumer spending data. Workers in store have become disempowered and are seemingly clueless on how to provide knowledgeable customer service, and being reduced to just taking payments and replenishing stock. No wonder the role of customer service/sales people has been devalued to a point where their role is deemed at best superfluous, and their worth quantified by the number of transactions they’ve processed. Helped the large IT system providers shift hardware and software solutions. Application providers produce numerous CRM products. Facilitated the shift to centralised and outsourced ‘customer service’ hubs, which created call centres and menu-driven customer interaction pathways followed by scripted call handlers. Enabled precise targeting of direct marketing, therefore shifting marketing spend from advertising to database-driven activity using mail, phone, and loyalty card programmes. Ironically, the flip side of this in many cases, was the driving of a wedge between the customer and the brand creating a climate of frustration, and a feeling by the customer of being ‘impersonalised, distanced, and commoditised’ – ripe and useful to be targeted and sold to, but kept at a distance when they encountered a problem or required assistance. Roll on 20 years to 2014, and the high street has felt the impact of online shopping with well known names falling by the wayside, as they’ve been unable to come to terms with the changes in customers shopping behaviours. Technology now has ‘righted the ship’, the impact of social media means that the barrier created by the ‘CRM wall’ has now been breached and customers are now having ‘uncontrolled’ conversations with brand owners, regaining a personal relationship that can be shared and observed by others, thereby reintroducing the randomness of the real world back into the dynamic. Capturing data from social platforms through tools such as those offered by salesforce has meant that individual tastes, aspirations and relationships can be integrated with sales and transaction data sourced from online and high street stores, in addition to the multiple third-party data sources to build individualised customer profiles and micro market segments. This has given retailers the ideal opportunity to rethink how they use their physical environments, and the role their high street presence plays in delivering a customer experience that gets them talked about, and sets them apart. 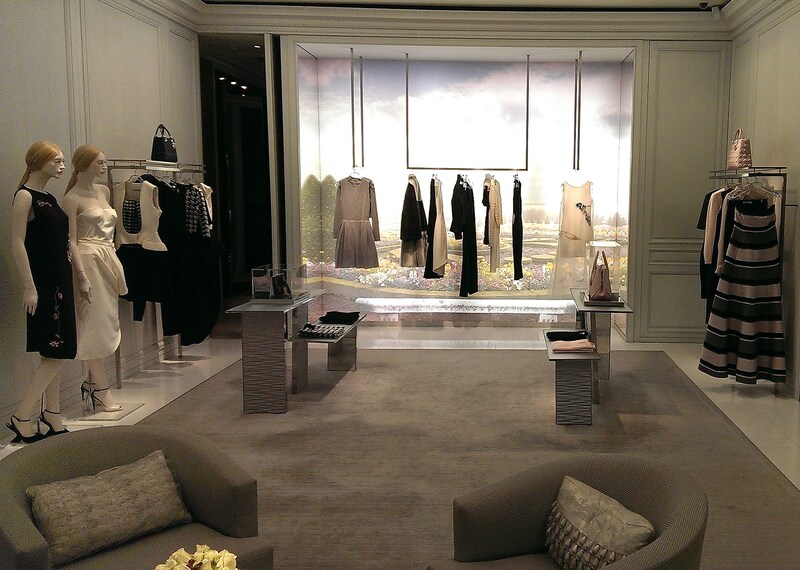 On a recent visit to Dubai, I discovered that Dior has recreated the ambience of the parent fashion house in Paris. It doesn’t have rails rammed with garments, quite the reverse. Its sequence of separate salons lead the customer into the inner sanctum where a large TV screen plays catwalk footage of their latest collection. You are invited to be seated on easy chairs and sofas where you’re treated to refreshments as you discuss your wardrobe requirements. Then uniformly grey cardigan-wearing assistants jump to life, and ‘recreate’ the scenes from 1950’s and 60’s American movies set in Paris. Think ‘Audrey Hepburn’ and ‘Funny Face’ without the condescension, yet still with the polite ‘nothing is too much trouble’ level of service expected from the wealthy locals and international shoppers who visit The Dubai Mall to shop. 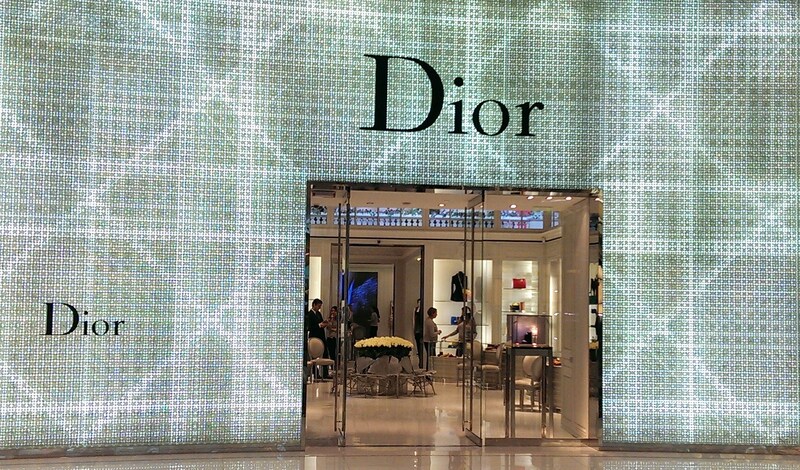 Dior has adopted a local partnering approach with luxury retailers to extend the impact of the brand over and above the product presence in the bricks-and-mortar environment, where they have sought to create a multi-dimensional event at a store for a limited period. In London last year, Dior ‘landed’ at Harrods transforming the window displays to their signature grey, while adopting the theme ‘celebrating British culture’ using notable London references complete with sentry boxes and bearskin wearing Royal Guards. 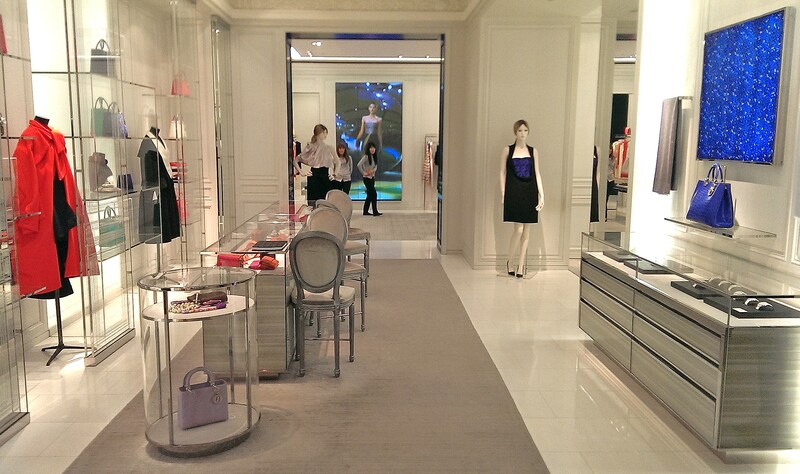 The pop-up Dior shop dominated the ground floor, the “So Dior” exhibit on the fourth floor showcased signature Dior apparel and accessory pieces, while The Georgian Restaurant became ‘Cafe Dior’ where diners could order meals inspired by Christian Dior’s cookbook. 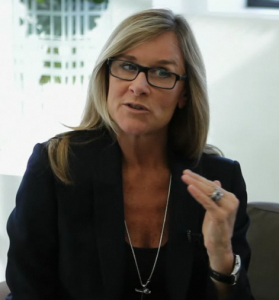 Creating a customer experience that allows the customer to seamlessly move from physical to digital and back again, while receiving the same care and attention brought together by joined up, continuous dialogue was the vision and goal Andrea Ahrendts and Christopher Bailey set themselves. Burberry’s pioneering work in integrating their CRM and social data has meant they have managed to transform the whole customer experience, and achieved their aim of enabling customers to engage with the brand through any channel or platform they choose, while receiving consistently high levels of service and satisfaction. 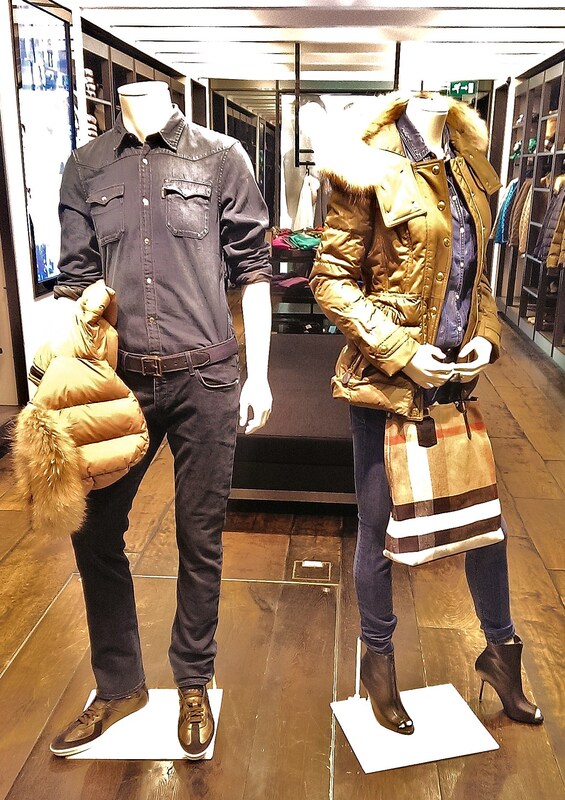 How does Burberry achieve this in practice? 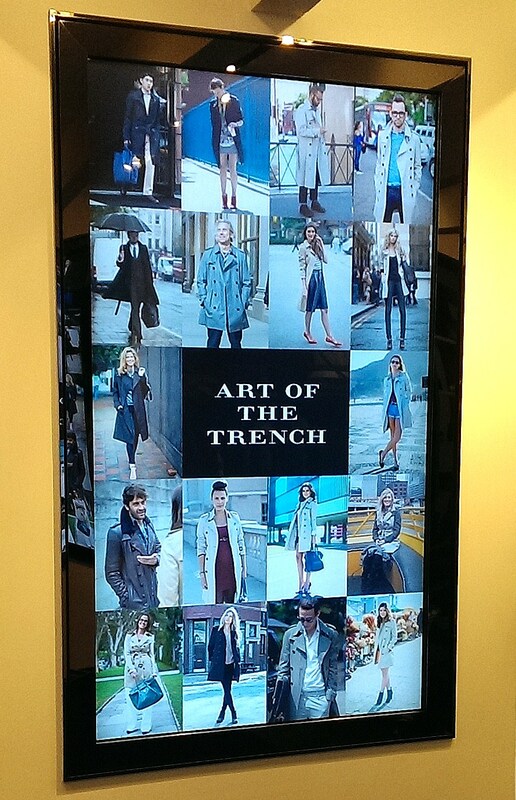 In 2012, when Burberry revamped their store in Regent Street London, they created a digitally interactive retail environment designed to elevate the whole shopping experience. Each garment is fitted with a radio identification tag, and when the shopper goes to try it on this triggers video on a nearby screen and presents the customer with complimentary garments that match the wearer and their selection. Once the sales assistant enters the customer’s details on a tablet, the new profile becomes a holistic view of the customer showing their interests linking their online presence, buying history, Facebook and Twitter accounts. The customer’s online interaction with the brand can be readily viewed, their interests and aspirations from comments they may have posted about Burberry’s products on social networks help map out likely purchasing opportunities. The back end data is managed through a SAP HANA platform, which helps the assistant draw upon the insights in real-time and make suggestions to the shopper. They can help them view and select products either onscreen or on the rail, and complete the sales process irrespective if the product happens to be immediately available instore or needs to be delivered from another location. 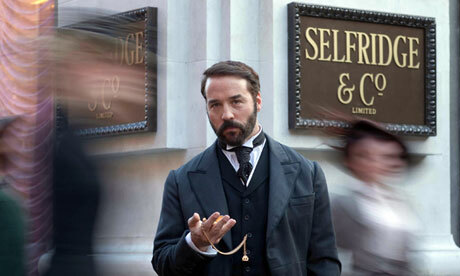 This is reminiscent of how ‘things used to be’ back in the day of Mr Selfridge, (Reza Soudagar makes a parallel comparison with ancient middle-eastern traders) as we begin to recapture the levels of service our grandparents enthused about, and came to expect. Tearing down or at least transcending the walls that exist between different environments in which a brand owner delivers their proposition and adds value seems to be the way forward by those who are rewriting the ‘rule book’. But there’s more, overcoming the linear pre and post sale occasions where a brand steps in and out of the customer journey within a fixed time window, poses new opportunities for the brand relationship to enhance fluid customer experiences. For example, Amazon now offers purchasers of CDs Autorip, a chance to download the tracks from the CD at no extra cost. Customers are now directed towards Amazon Cloud Player where they can access the tracks from the other CDs they’ve purchased over the past couple of years, and download them onto any device (therefore extending their music experience beyond a high quality hi-fi format to accessible downloads). The recognition of previous purchasing activity, then presenting the customer with a new dimension to enjoying their music, begins a re-evaluation of the Amazon proposition. This is essential as Amazon squares up to the growth in cloud based streamed music services, and the subscription based model offered by Spotify reshapes how people access, buy and share recorded music. The challenge for brand owners lays in how to step out of the silos that exist across their organisation and the customer domains they inhabit. Overcoming the barriers that divide business functions internally and business environments externally, and transcending them to deliver a holistic customer experience as Burberry has done, is essential for a business to succeed as a social enterprise with the customer at its heart.